Mahany, a former New Orleans cop who became a prosecutor and took on the Uber class-action lawsuit. Mahany represents drivers who allege they are being ripped off by Uber Technologies, Inc., - a multinational online transportation company. “The public face of Uber is very different than what many of the drivers report,” Mahany said. In a steady stream of legal action being taken across the nation, Uber drivers allege a double standard under which they are expected to perform their “transportation gigs” as if they were employees all the while being compensated as independent contractors. They allege they are left stranded in terms of receiving health benefits or medical assistance when a collision occurs while on the Uber clock. As a private practicing attorney, he specializes in the assistance of people victimized by the fraudulent activities of business and government. His firm currently holds the record for the largest whistleblower settlement in U.S. history. Mahany and his team successfully garnered a ruling for $16.65 billion against Bank of America under the False Claims Act in Dec. 2014. To this date, it is the largest settlement slapped against the banking industry. The case involved whistleblowing reports by three individuals – including Shareef Abdou, the former B of A operations vice president represented by Mahany - and a small New Jersey mortgage firm that Countrywide Financial Corp., a subsidiary of B of A, used inflated values of mortgage properties in transactions with clients and sold defective loans to investors. Mahany represents drivers who allege they are being ripped off by Uber Technologies, Inc., - a multinational online transportation company – those in the know in the legal industry made note. Mahany noted that the numerous lawsuits paint a much different picture than the one Uber presents: The company’s recruiting website advertises the ability to “drive when you want/earn what you need,” along with the opportunity for a low-cost vehicle lease through Uber. Drivers say the company’s claims do not mesh with their experience behind the wheel. The Uber cases that seem to be popping up like daises across the country boil down to one key element according to Mahany: “Uber micromanages drivers’ activities minute by minute which tell us they’re employees and the company can’t avoid employee rights and protections simply by calling drivers, ‘independent contractors,’” Mahany said. Uber illegally classifies its drivers as independent contractors when the reality behind the wheel is that Uber and its policies very much control a driver’s work time. Uber officials pointed The Suit Magazine’s inquiries to the company’s standard statement that Uber isn’t actually in the transportation business, but rather sells an App to drivers that allows them to select which ride needs they want to fulfill. That doesn’t fly with Mahany. He says he represents plantiffs that often times don’t make minimum wage driving for Uber. In late June, he filed a suit in Wisconsin. He hopes the outcome of this case will build on the results of a joint case recently settled in California and Massachusetts in which drivers won $100 million – mostly tip monies they claim were either denied or stolen. While drivers did not get the independent contractor label removed, they were successful in forcing Uber to add tipping information to the App that better explains to riders that “tips” are not included in the ride fee. Liss-Riordan is a Boston-based attorney who made her claim to fame protecting the rights of workers in a couple of landmark cases. The first was on behalf of strippers at King Arthur’s Lounge in Chelsea, Mass., where dancers fed up with paying $35 per shift to dance on the club’s platform as well as 30 percent of their tips for private dances sued. The 70 dances won minimum hourly wage in addition to the ability to keep their tips. In 2005, Liss-Riordan took action against FedEx when it was classifying its drivers as independent contractors even though they wore the company uniform when working and drove trucks with the company logo clearly displayed on the vehicles exterior. Even though Uber drivers are not required to wear company uniform or attire with its emblem while behind the wheel, Liss-Riordan agrees with Mahany that they are misclassified as independent contractors and not employees. While disappointed that status as employees was not gained in the Ca/Mass lawsuit, Liss-Riordan sees progress in the clarification of tipping. Mahany said the results from the Ca/Mass suits is mixed: He said the sheer number of drivers involved in that case means the settlement really doesn’t bring much financial relief to the bulk of the drivers . He, like Liss-Riordan, seeks a full reclassification of drivers. He points to the 1938 national Fair Labor Standards Act passed on the heels of the Great Depression and aimed at ensuring that employers provide a fair and livable wage to employees. Mahany said it remains the law of the land and companies such as Uber use the “independent contractor” label as a way to skirt the law’s requirements and implied responsibilities to the people performing the company’s work. The Wisconsin suit filed on June 24, 2016, seeks to force Uber to reclassify Wisconsin-based drivers. It also goes further than that: Not only does it seek minimum wage protections and access to benefits for drivers, it also alleges Uber violated the Wisconsin Wage Payment Laws by failing to provide prompt payment to drivers upon termination or resignation, failure to keep payroll records and failure to pay overtime and minimum wage. The suit also launches protest against Uber’s “safe-ride” $1 deduction per provided ride that Uber charges to pay for driver background checks. The case’s lead plaintiff is Milwaukee County resident Lamont Lathan, who began driving for Uber in February 2016. He claims he drove 15 hours per week and was compensated $30 to $60 per week with expenses such as fuel, vehicle lease and repairs that cost him $60 per week. He claims Uber did not pay him the $6 cancelled ride fee due to drivers. Rulings in the Wisconsin case are being closely watched by both sides of the Uber conflict. In the meantime, Uber recruitment advertisements online the second week of July 2016 offered up to $1,000 as a signing bonus. As per Uber’s recruitment websites, drivers must be 21 years of age, have clean driving records and pass a background check. The driver’s vehicle must be a four-door in “great condition.” The cellular phones drivers use to access the ride-sharing App must be iPhone 4s or newer, Android 2013 or newer. Uber also advertises that it can provide leases for phones and vehicles if a potential driver lacks either. Brian Mahany is an American lawyer and author who leads a Fraud Recovery, False Claims Act (Whistleblower), and Accounting & Legal Malpractice law firm with a national footprint. His journey from Louisiana police officer to lead plaintiff’s counsel and whistleblower attorney in multiple billion dollar cases reads like that of a John Grisham protagonist. 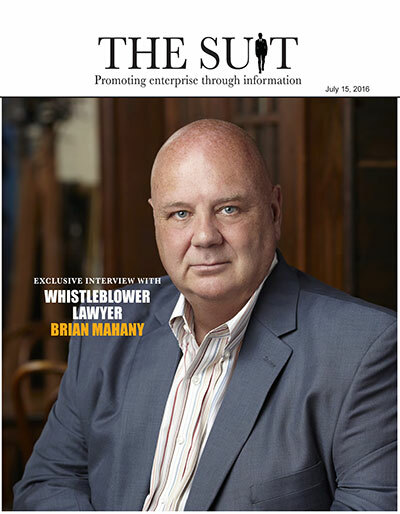 Attorney Brian Mahany typically represents fraud victims, sometimes one or at times groups of 200 or more, who were victimized in complex multi-state or international frauds and also whistleblowers (False Claims Act cases) who stand up against America’s most powerful corporations by reporting fraud against the government. His counsel has led to multi-million dollar financial fraud recoveries and billion dollar outcomes (with multi-million dollar rewards to whistleblowers) in False Claims Act cases. Brian’s three decades’ experience as a prosecutor, financial crimes defense lawyer, government regulator, and international tax counsel make him a formidable opponent for corporate fraudsters accustomed to acting with impunity. “The lawyer evildoers hate to see coming” – IP Magazine.